Here is a fun summer decoration that would look great at a barbecue or as an accent piece in your home. I love mixing colors and patterns together to give this design more dimension. This is very easy to create with cardboard and decorative paper and is a great project to make with kids. 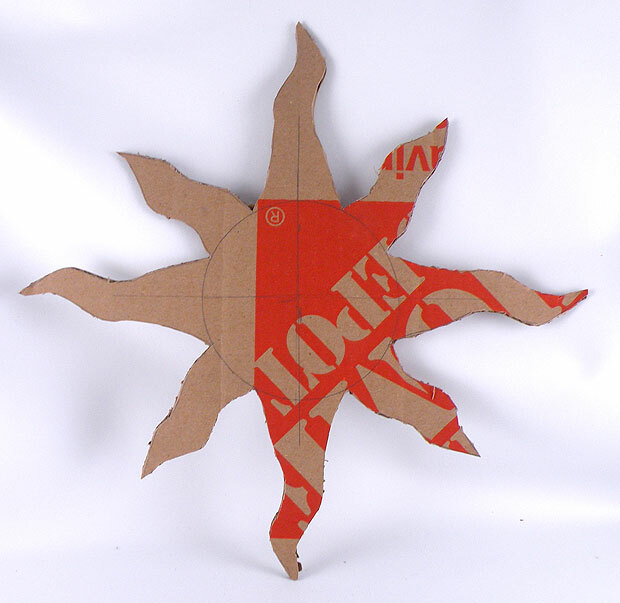 Cut out a sun shape on sturdy cardboard. Contact me if you would like for me to send you the sun pattern I created. Use pieces of decorative paper (I used scrapbooking paper) to cut out the sun rays and attach then to the cardboard with craft glue. 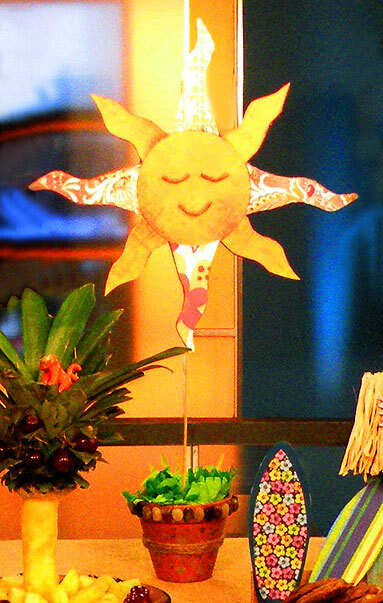 Add a face with twine or yarn…make sure to make it happy…a sun is always happy with a sunny disposition! You can attach a barbecue skewer to the back of the sun so it can be put into a flower pot to add height to the sun. 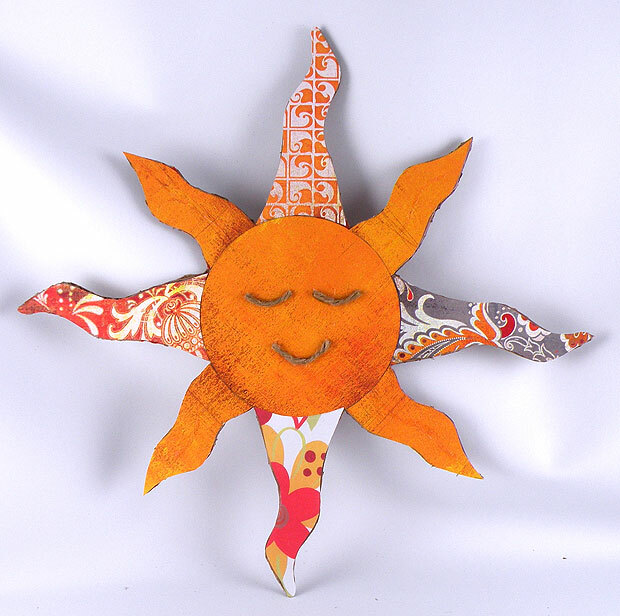 This entry was posted in Crafts, kids and tagged barbecue decorations, cardboard sun, kids crafts, scrapbooking paper, summer crafts, Sun, Sun Decoration. Bookmark the permalink. Thank you. I love making things that make me smile. Wow! What a creative craft. The sun is so beautiful. You did an awesome job. Thank you. I had a lot of fun making it. 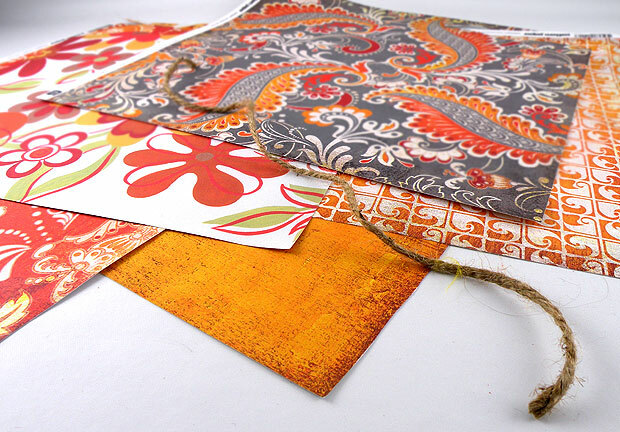 What a great idea and I love all the decorative papers you chose!